This is criticism as it should be done, sharp and polite and with a mind open to rebuttal. Okay, still what exactly are Culbertson’s past accomplishments and experiences that mean he will be able to do the job, and do it better than the other 2 candidates, and what specifically does the Board hope he will accomplish for the organization? This question was not addressed in a clear fashion in their public statement on the hiring. A written statement and a public question and answer session addressing it would great help things, and I call on the Board to provide this. This is Dan Young, volunteer producer of Ecoreport, WFHB’s weekly environmental news program. I would like to thank you for your work during the selection process for the new General Manager. I was not able to take part in the meet and greet sessions for the finalists, but I followed the process with excitement about the future of the station. 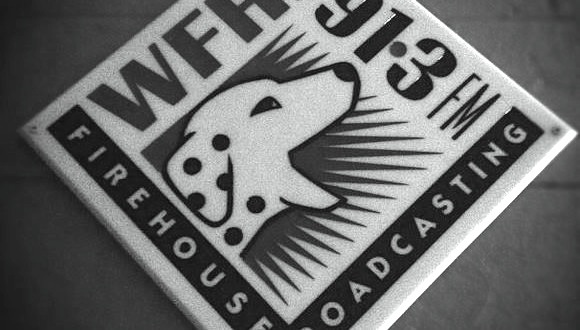 However I have felt growing concern since I received the notification of Kevin Culbertson’s hire and witnessed the resulting uproar on the internet, including Spot-Unleashed and the new Friends of WFHB Facebook group. I believe WFHB is an amazing resource that I am proud to be a part of, and I am afraid that it could easily go away. This could happen if there is a feeling of deep division and mistrust towards the Board and General Manager from the volunteers that produce much of the show’s content, run much of its operations, and also give major financial donations. I am afraid we are at risk of this right now. But I feel there is something simple that you and the rest of the Board can do to help regain the trust of concerned volunteers: provide us with a clear, specific and comprehensive explanation for what past accomplishments and experiences Kevin Culbertson has that lead you to believe he was the best qualified candidate to perform the various tasks involved in the General Manager job. Also please provide us with clear ideas of what new contributions Culbertson wishes to make to WFHB while in the GM position, and let us know what the Board itself is hoping he will specifically accomplish. I request that, as soon as possible, you provide your volunteers and members with a written document explaining this, and that you also hold a public Question and Answer session as well to address this. And until you are able to do these things, I ask that in the meantime the Board publicly acknowledge the existence of these widespread concerns, and state your commitment and timeline for responding to these requests for written document and a public Q&A session to address them. I truly believe that if you take these actions, it will go a long towards rebuilding trust. The Hondo piece made me suspect the board hired him on to help dismantle the station. I see I made an error in my piece — Hondo’s op-ed was published on November 8th, not the 6th. Still, the Board President assured me that he had not shared Culbertson’s answers with anyone other than the Board at that time the piece was published. Their extended silence in the face of this firestorm is very disturbing to me. One other correction: in the line, “Hondo also holds these details as grounds for suspicion (his words):” the parenthesis was added by the owner of this blog, to say that the bullet points were Hondo’s words. I saw this change and felt it looked like Hondo said explicitly that the bullet points were grounds for suspicion. He did not say that, and the way his op-ed was written he had no need to.